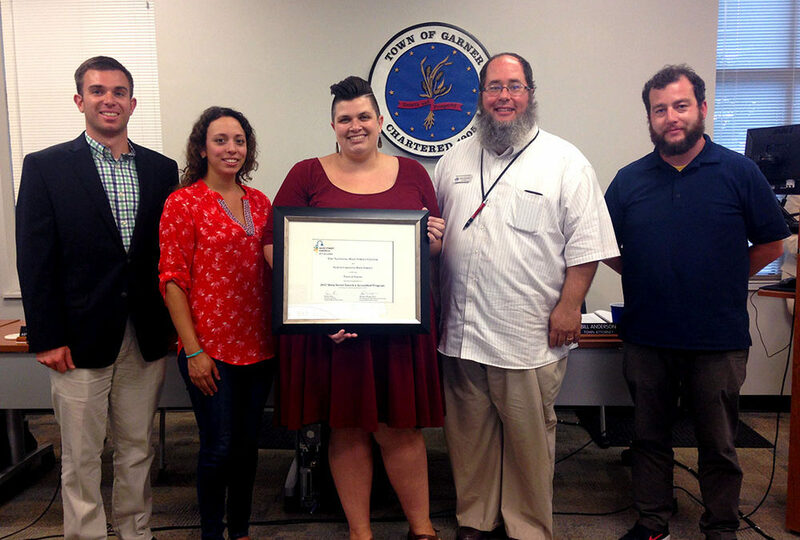 The Garner Revitalization Association has been designated as an accredited Main Street America™ program for meeting rigorous performance standards set by the National Main Street Center. Each year, the National Main Street Center and its Coordinating Program partners announce the list of accredited Main Street America programs in recognition of their exemplary commitment to preservation-based economic development and community revitalization through the Main Street Approach®. North Carolina is one of the original states to administer the National Main Street Program. The North Carolina Main Street & Rural Planning Center evaluates each of the state’s local Main Street organizations annually to identify those programs that meet ten performance standards. Evaluation criteria determines the communities that are building comprehensive and sustainable revitalization efforts and include standards such as fostering strong public-private partnerships, securing an operating budget, tracking programmatic progress and actively preserving historic buildings. Since 2009, Garner’s Main Street program has leveraged over $5 million in public investment and $5.9 million in private investment to support downtown revitalization. This public-private partnership spurred the creation of 12 new businesses, 68 new jobs, 11 building renovations, 7 façade improvements, and over 2,000 volunteer hours invested in the last 8 years.